As entertainment professionals across all platforms work to become more inclusive of minorities, RespectAbility, a nonprofit organization that fights stigma and advances opportunities for people with disabilities, announces the launch of “The Hollywood Disability Toolkit: The RespectAbility Guide to Inclusion in the Entertainment Industry.” The toolkit, which is available online for free, offers Hollywood professionals the facts and sources they need to get disability inclusion right. A first of its kind primer for entertainment professionals, it covers a wide array of key issues all in one easy to read place. A Disability FAQ covers topics from the Americans with Disabilities Act (ADA) and the definition of a disability to concrete steps to ensure inclusivity and sample inclusion language. The FAQ also covers resources for hiring employees with disabilities and tax and other incentives that employers have to hire people with disabilities. The Hollywood Disability Toolkit also includes comprehensive resources including where to go to hire performers with disabilities and people with disabilities behind the scenes, as well as training programs for minorities. Additional sources include audio description and closed captioning services, sign language interpreters and employment resources including business-focused disability organizations. For more information on specific disabilities, the appendix includes disability advocacy organizations and disability media sources. With Hollywood striving to boost diversity and inclusion, one group had consistently been overlooked: people with disabilities. One in five Americans has a disability, but they are represented by fewer than two percent of TV and fewer than three percent of movie characters. In recent years none of the characters with disabilities in leading films were from an underrepresented group or the LGBTQ community, while non-disabled actors portray 95 percent of characters with disabilities on television. However, that is changing with positive portrayals in the Emmy winning AETV show Born This Way, the top new TV show The Good Doctor, plus Speechless, Pablo and more. 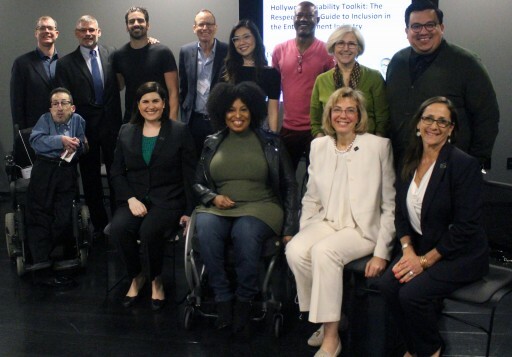 “Opening the inclusion umbrella for America’s largest minority – the one-in-five Americans with a disability – is the right thing to do as well as economically smart given that the disability market is valued at more than $1 trillion,” said reality-TV pioneer Jonathan Murray who serves on the board of directors of RespectAbility and hosted the launch of the toolkit. Bunim-Murray, which he co-founded, currently has more than a dozen shows on the air and has long innovated and advanced diversity on screen. The success of films like Black Panther, Wonder Woman and Coco prove that diversity wins. According to Nielsen Research, consumers with disabilities represent a $1 billion market segment. When you include their families, friends and associates, that total expands to more than $1 trillion. Americans with disabilities represent the third largest market behind Baby Boomers and the mature market. 1.2 billion people on earth have a disability. The toolkit’s launch event was attended dozens of key entertainment and diversity leaders including from The Academy of Television Arts & Sciences, 21st Century Fox, NBC, Netflix, Universal Television and several guilds. The creation of this toolkit would not have been possible without the financial support of The California Endowment. “Visibility and representation matters. 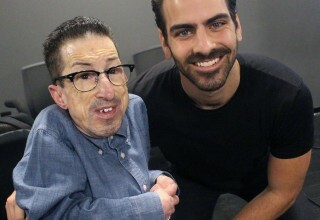 We know that accurate and positive portrayals of diverse people with disabilities will not only empower and educate viewers and program creators but will ultimately lead to a more inclusive, responsive and healthier society,” said Jose L. Plaza, who manages the grant for The California Endowment. While many people contributed to the toolkit, RespectAbility’s Communications Director Lauren Appelbaum was the lynchpin in its creation. She previously worked at NBC News and has a master’s in broadcast journalism from Syracuse University. RespectAbility is a nonprofit, nonpartisan organization that understands we are a stronger community when we live up to our values – when we are welcoming, diverse, moral and respect one another. 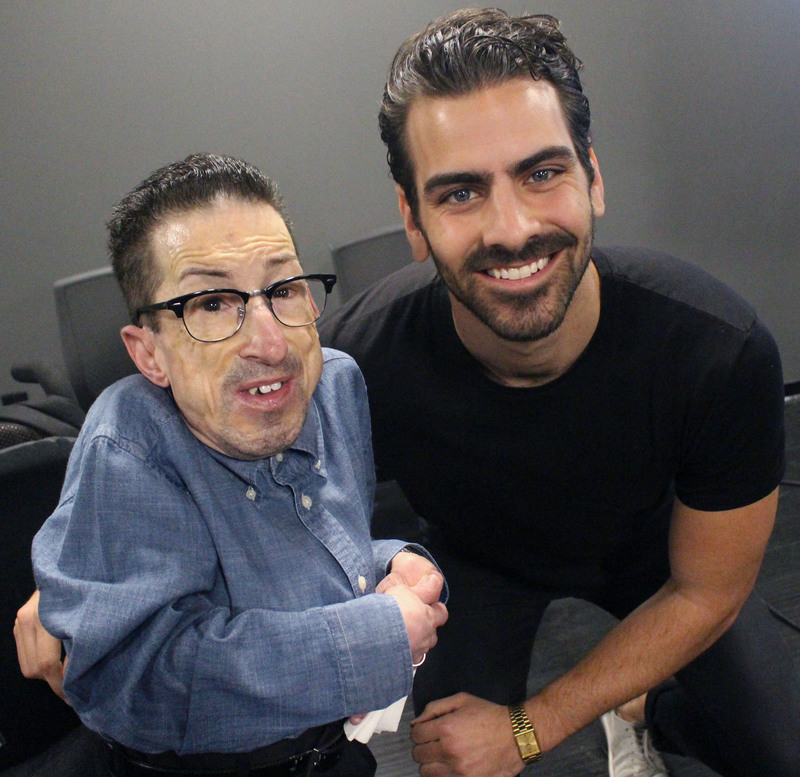 We work with entertainment, policy makers, educators, self-advocates, nonprofits, employers, faith-based organizations, philanthropists, journalists and online media to fight stigmas and advance opportunities for people with disabilities. Led by people with disabilities and those who love them, we know that people with disabilities and their families have the same hopes and dreams as everyone else, even if they face different challenges. We do not lobby; we educate. Our free tools and factual resources inform so people with disabilities can achieve the education, training, jobs, security and good health that everyone needs and deserves.